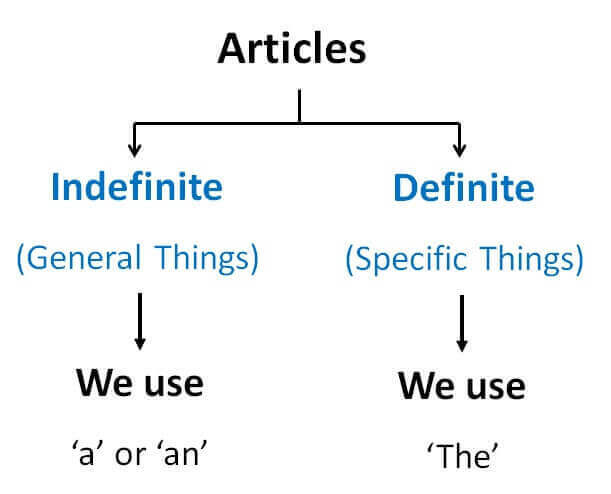 Articles are words which are used to point out or refer a noun. When to use a, an, the? (In first line, we are talking about any one cow, not a specific cow. (In second sentence, we are taking about a specific cow of black color. (In first line, we are talking about any one elephant, not a specific elephant. (In second sentence, we are taking about a specific elephant who was very angry. For specific nouns, we use "the"
For general nouns, we use "a" or "an"
We are talking about any book, so we use "a"
We are talking about specific "book" which I gave you yesterday, so we use "the"
We are talking about a general car, it can be any car, so we use "a"
We are talking about specific "car", so we use "the"
........... exams are starting on 10 September . The exams are starting on 10 September . We are talking about specific "exams", so we use "the"
We are talking about a general friend, so we use "a"
We are talking about a specific friend who gave you general gift. So, gift can be anything, friend is specific. When to use "a" or "an"? It depends upon whether the word is vowel or Consonant.